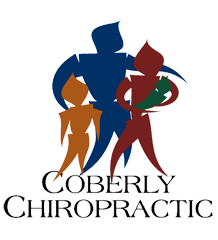 How Chiropractic Helps Infantile Colic – Coberly Chiropractic, Inc. If you have ever cared for an infant with colic, you know how frustrating and helpless it can make you feel. It is so hard to see a little one in such obvious discomfort and you can’t help them no matter what you do. 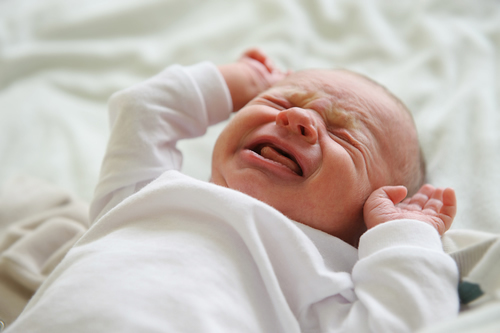 When you have a baby who experiences frequent colic it can be heartbreaking. An infant is so small and they can’t tell you where it hurts or what is wrong; all they can do is cry. Chiropractic has been proven to help with infantile colic. It can soothe fussy babies and ease the nerves of frazzled parents. Some moms and dads may be a little ambivalent about the idea of having a chiropractor “work” on their baby, but the benefits are incredible – and baby’s comfort is definitely worth it. Colic is a condition that has frustrated parents since the beginning of time. The most prevalent symptom is the severe distress that occurs over predictable periods of time. It is labeled colic when there is no obvious underlying condition that could cause the distress, and occurs in babies that are newborn to 3 months (sometimes up to 6 months), healthy and well fed. Changes in posture that include tense abdominal muscles, clenched fists, and curled legs. Some parents may balk at taking their infant to a chiropractor, their minds filled with images of the stereotypical snap, crackle, and pop that is so often associated with the practice. However, infant chiropractic is different and much milder. Chiropractic adjustments for infants are very gentle. The chiropractor will use his fingers to gently apply pressure to areas on the back and neck. Most babies completely relax as the doctor corrects the misalignments – some even fall peacefully asleep. When you are choosing a chiropractor for your baby, ask if he or she is experienced in working with babies. Childbirth is not a gentle experience. As the baby’s tiny body is compressed and stretched as it is emerging into the world, it can cause the vertebrae of the neck and back to become misaligned. If the delivery included vacuum extraction, forceps, or prolonged pushing, or other things that doctors or midwives must do to assist in delivery, the chances that the baby will experience misalignment are very good. When these misalignments, called vertebral subluxations, are significant enough, it can impede on how well other major systems in the body are able to function. Digestion is one area that can be greatly impacted and when digestion of formula or breastmilk is compromised it can be the cause of major distress and discomfort for the baby. This can lead to episodes of colic. There have been several studies that explores the efficacy of chiropractic for colic. The majority of this research has shown that it is a very effective treatment. A 1999 study published in the Journal of Manipulative and Physiological Therapeutics reported that spinal manipulation for colic is a very effective treatment for the condition. Babies treated using chiropractic experienced a decrease in crying by 67 percent. Babies who received medication experienced a decrease in crying by 38 percent. Another study showed similar results. Chiropractic improved crying behavior in babies that had colic. Chiropractic is an effective, gentle, and drug free way to treat colic. Babies can thrive and be free of distress and discomfort while mom and dad can get some much needed sleep – and peace of mind.